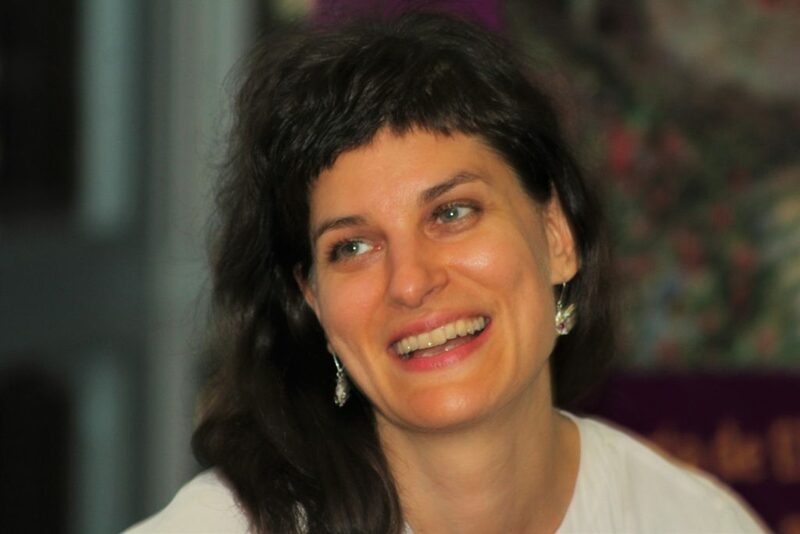 Barbara Pogačnik, born in 1973, is a poet, translator and literary critic. She graduated in Romance Linguistics and Literature from the Université Catholique de Louvain in Belgium, completing her MA at the Sorbonne in Paris. She authored four books of poetry: Poplave (Inundations, 2007), nominated for the national Best First Book Award, V množici izgubljeni papir (Sheets of Paper Lost in the Crowd, 2008), the bilingual Modrina hiše / The Blue of the House (2013), and Alica v deželi plaščev (Alice in the Land of Coats, 2016), two of which were published by the biggest publishing house in Slovenia. Barbara Pogačnik’s poetry was translated into 26 languages, she participated in over 40 literary manifestations in twenty countries worldwide and was writer in residence at a number of international programs. Some of her poems were made into music. She is a member of several literary juries, having also translated works by over 150 foreign authors.